Whether you are a landlord or a tenant, when it comes our property services, there will be no questions unanswered and no task too big. However, don’t just take our word for it, take a look at our property customer feedback and see what our tenants and landlords have to say about us. Contact our experienced letting agents at our Kettering office today, who will be happy to help. Our residential property management service to landlords in the Kettering area offers Competitive Rates with a Guaranteed Personal Service you wont find anywhere else. Read more about our commitment to making sure you are comfortable in your new home. 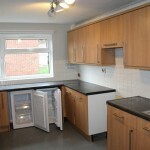 Are you looking at houses to rent or relocating to the Northamptonshire area? If so, you have come to the right place. Our letting agents can help you find a property to suit your needs in Kettering and the surrounding area. Read more about the benefits available from Ashan Property Ltd.